St. Petersburg police detained Left Front leader Sergei Udaltsov and 12 other opposition members less than an hour before a sanctioned opposition rally calling for political reforms, media reports said. The opposition firebrand, who has become a central figure for those protesting President Vladimir Putin's rule, spent Sunday night in jail after police detained protesters strolling prior to the rally on St. Petersburg's Mars Field, Interfax reported. 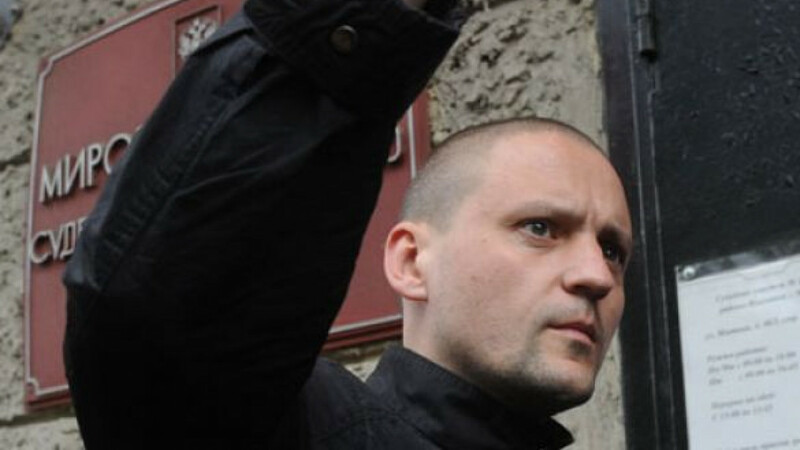 Police accused Udaltsov and those accompanying him of disobeying law enforcement officers and organizing an unsanctioned gathering, referring to the group's walk together to the rally. Udaltsov complained that the building where the protesters were kept overnight was suffocatingly hot. "During the night in the police station it was really suffocating. There was nothing to breathe. They called an ambulance," Udaltsov wrote on Twitter. Authorities scheduled court hearings for Monday, but when Udaltsov turned up, he was sent back to the police station to clear up procedural violations in his case, according to Interfax. Meanwhile, Udaltsov announced Monday on Twitter that his lawyer had appealed an Ulyanovsk court ruling that ordered him to carry out 240 hours of community service for allegedly striking a pro-Kremlin youth activist.